In 2007, after spending several years in the mortgage industry as a top producer, it was all yanked away from me in the financial collapse. I lost everything and was on the brink of homelessness. This was arguably the first time that I truly faced financial adversity. I didn’t know how to pay my bills. Sometimes, this meant going without hot water or lights. I remember sneaking my trash to my neighbor’s bin because I couldn’t afford my garbage bill and believe it or not, that wasn’t even my lowest point. 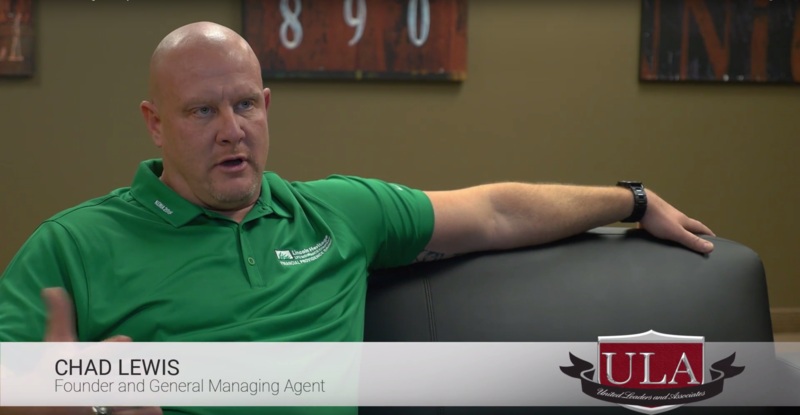 After hearing from Brad Jennings about an insurance position that was open, I started working with Lincoln Heritage, but had not completely committed to the job. During this time, my ex-wife took my kids away from me and I was financially helpless. I struggled to get them back. At one point, I didn’t know if they were in the country or not. I thought that things couldn’t get any worse and then, during our custody battle, I received the news that my father had passed away. This was a defining point in my life. I could stay at rock bottom or I could choose to go on. We all go through adversity. The difference is what I decided to do when I met my obstacles. With my mind made up, I decided to not make another excuse and went to work. Brad had already set up a proven system to succeed in our business. Luckily, I was smart enough to become coachable and follow the proven system. To do this, I sacrificed everyday to go out and sell. There were a lot of long days and it was hard work, but I did it. Going out everyday became easier and easier when I started to see that I was truly making a difference with my clients in a very difficult point in their lives. Within three months, I had established myself not only as a top producer, but also as a leader. I started to build my own agency, which is now United Leaders and Associates (ULA). ULA has allowed me to rebuild my life ten times better than what it was before the financial collapse. More than that, I know that I’ll never again be where I was right after the collapse. I will never be hungry or helpless again. Thankfully, I’ve done more than just stay fed and keep the lights on. In my fifth year, I earned a ring from Justin Howard that shows I have made an excess of $250,000 in a year. My absolute desire is for each and every member of my team to succeed. This is just one of the reasons why United Leaders and Associates has become one of the fastest growing agencies with Lincoln Heritage. I know what it is like to hit rock bottom and afterwards to climb back up the mountain. Come join the family! I look forward to standing with you at the top.